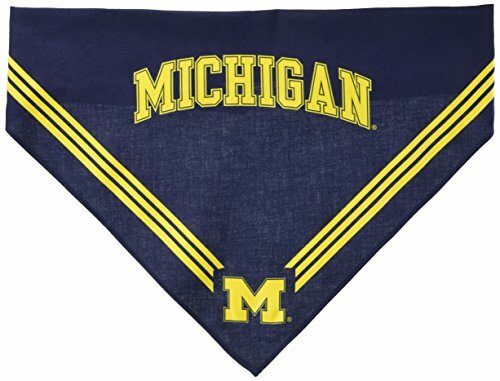 Collegiate Michigan Wolverines Pet Bandana, Medium/Large - Dog Bandana must-have for Birthdays, Parties, Sports Games etc. With this officially NCAA licensed bandana you will let everyone know which team you and your four-legged friend support! Made of soft poly-cotton to ensure comfort & has stylish team graphics. Perfect for you as well as your pet. If you have any questions about this product by Sporty K9, contact us by completing and submitting the form below. If you are looking for a specif part number, please include it with your message.